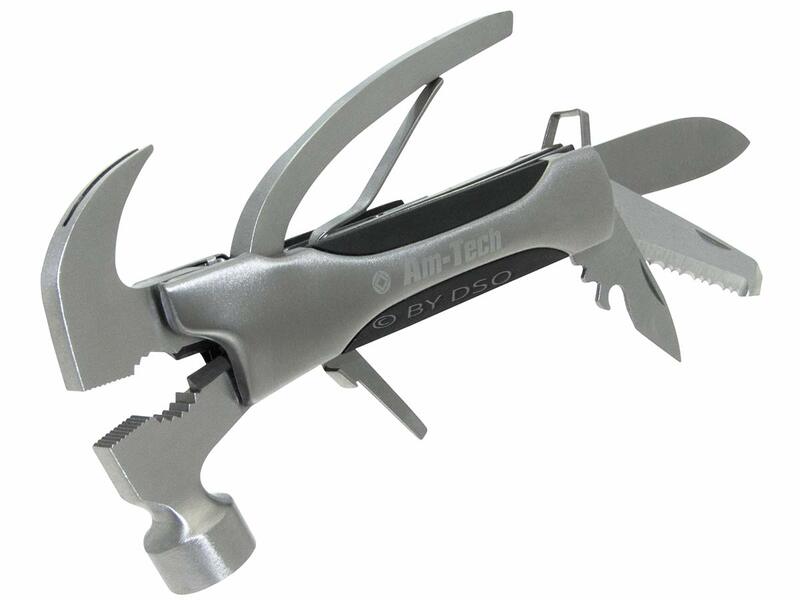 This folding multi tool includes: pliers, wire cutter, mini hammer head, slotted screwdriver, bottle opener, mini saw, mini file, cross point screwdriver. The handle locks safely when not in use. Supplied with handy storage pouch.